There will be six sessions of after school science and engineering classes for grades 1-8 from Jan. 23 to March 3. The sessions will be held from 4 to 5:30 p.m. in Room 104 of the Great Lakes Research Center. To register, click the link above or wupcenter. These sessions offer hands-on explorations taught by Michigan Tech science and engineering students. Cost is $75 per student. Register by Friday, Jan. 20. Pay by credit card by calling the Michigan Tech Cashier at 7-2247. Your space is not reserved until payment has been received. Questions? Call 7-3341 or email Joan Chadde. 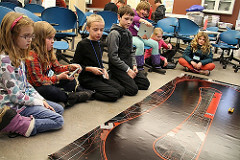 Note: Houghton school bus will drop off students at Michigan Tech by 3:50 p.m.
Students will design candy cars, a bridge to hold the most weight, a boat that floats, a brain helmet that survives a crash, planes, trains and more. Beaches, waterfalls, lakes, sledding hills — discover how some of these favorite places to play were formed. Each week, we will explore different geologic activities which have created cool features and shaped our home — the Keweenaw Peninsula. Explore the amazing world of plants — visit a research greenhouse, conduct experiments on effects of road salt and acid rain, design a water treatment system using plants, try to make sugar like a plant, meet a botanist and find out how forest plant materials can replace plastics and provide medicine and food. Coordinated by Michigan Tech Center for Science and Environmental Outreach. Joan Schumaker Chadde (CEE/GLRC) is the principal investigator on a project that has received a $47,556 grant from Wayne State University. This is the first year of a potential 2-1/2 year project totaling $146,375. 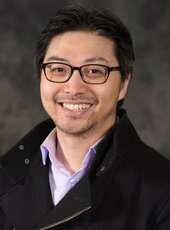 Interactions, a magazine published by the Association for Computing Machinery, featured an article about Myounghoon “Philart” Jeon’s (CLS, CS) Mind Music Machine Lab. Interactions is a flagship magazine, which all of HCI, UX, Interaction researchers and designers from all over the world read and cite.